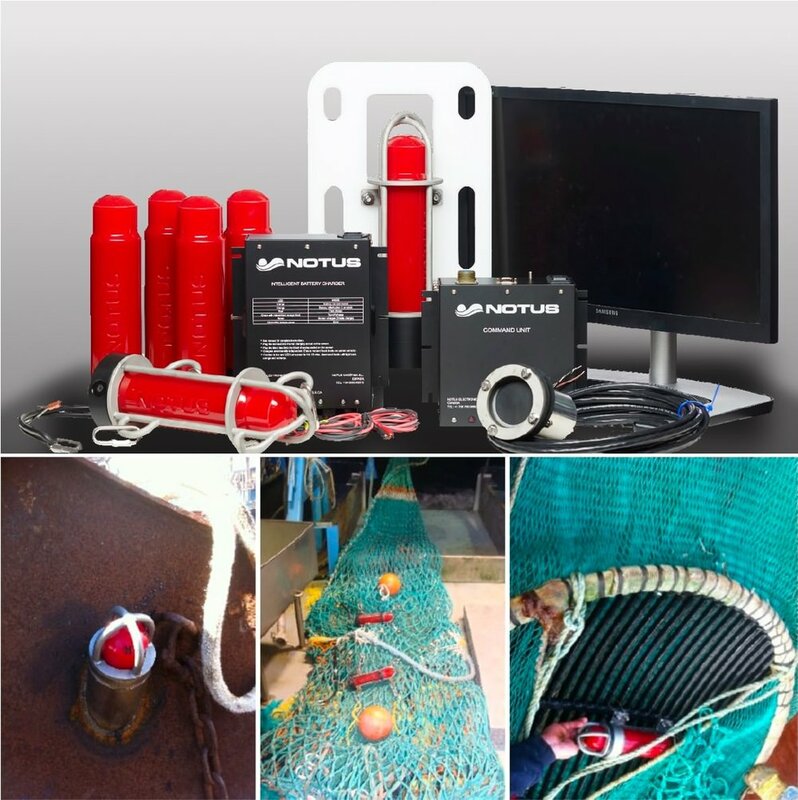 The Notus Trawlmaster is a wireless net monitoring system. Its design is based on more than 25 years of experience. Notus has worked closely with customers to offer sensors that provide reliable, real time data and convenience of use. With our unique and reliable Activ-Omni Intelligence, Notus offers the only net monitoring system to boast two-way communication, offering trawl wire lengths, AND true omnidirectional capabilities, providing sensor data when it’s needed most. The Notus Trawlmaster provides optimal performance, for superior results. Trawlmaster is a wireless trawl monitoring system that provides complete trawl geometry. Trawlers world over have experienced significant fuel savings coupled with increased catches. Knowing the trawl’s geometry allows the user to keep the trawl optimal during every tow. Trawl wire lengths provide you with confidence that the trawl doors are in line. In cross currents, an adjustment is provided to align the doors. Door spread sensors allow users to tow by spread, not by speed. This is a well proven method to increase catches in heavy current. Upgrades can be made to these basic door sensors, such as door angle, temperature and depth. Back on the trawl, a complete picture can be provided using headline, bottom contact, wing-end and catch sensors. 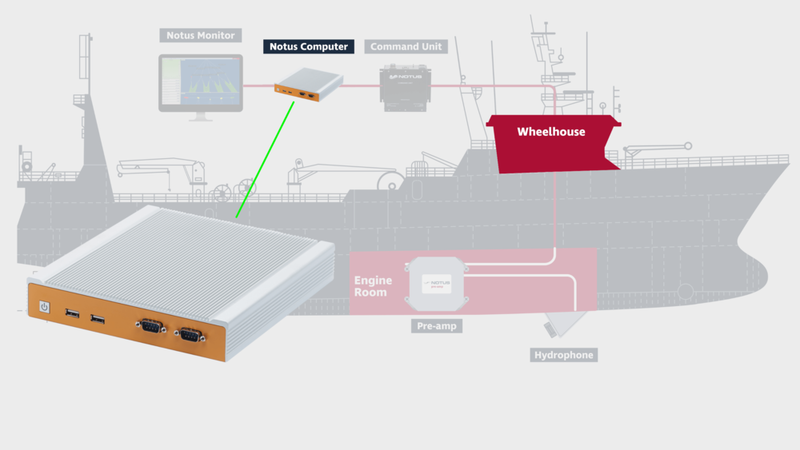 A system consists of shipboard equipment (command unit, computer and hydrophone) that communicates wirelessly to sensors on the trawl. A dynamic 3D graphic of your trawl is presented that instantly gives an accurate trawl picture. Notus sensors boast an active, two-way communication system, not offered by other net monitoring systems. Instead of relying on traditional one-way pingers, Notus systems ‘talk’ to each other via proven two-way protocols. Using this reliable technology, Notus is the ONLY system capable of delivering trawl wire lengths with doorpsread of EACH net, giving a true geometric view of the gear. With Notus Activ-Omni Intelligence, achieve optimal performance, for superior results. Doorspread is the distance between the doors. Major fuel savings are achieved with doorspread by adjusting the speed of the vessel to keep the optimal spread. For example, towing just 0.1 knots too fast into a current can overspread the gear by 10 meters. Doorspread and trawl wire lengths are standard Trawlmaster sensors. These sensors can be upgraded to include door depth, door angle and temperature. Depth sensors indicate the distance from the surface to the doors/trawl. Door angle sensors provide the heel angle (inward/outward lean) and pitch angle (upward/downward pitch). Temperature sensors indicate temperature wherever the sensor is located. Headline Height sensors use an echo sounder to measure the distance from the headline to the seafloor. An optional footgear clearance sensor can be added to monitor the net opening and footgear clearance. Catch sensors indicate when the cod-end has a set amount of fish. Multiple sensors can be used to indicate different amounts of fish. Grid sensors indicate angle of the sorting grid. Bottom Contact sensors confirm that the trawl is on bottom using angle measurements. The sensor is attached to the fishing line and remains horizontal when the trawl is on bottom. The sensor orientates in a vertical position when the trawl comes off bottom. If there is not enough trawl wire shot, the trawl will not be on bottom. The Wingend Spread sensor provides the distance between the two wingends. Wingspread is a critical piece of information for researchers in calculating swept area. The Trawl Alignment Sensor provides the alignment and adjustment behind the doors. from the port door to the center of the headline. Subtracting these two distances provides an adjustment to align the trawl. When currents push the trawl to one side, there may be an adjustment needed to align the wing ends.